Auctioning a home can be a great way to attract buyers and get a great price for your property. Auction day can be scary event if you find yourself unprepared for it, so here are a few tips to help you be ready for the falling of the gavel and ensure you’re getting the best possible outcome for your sale. Your first step should be to select a reputable and trustworthy real estate agent to assist you with the sale and throughout the auction process, from advertising to open houses and everything in between. Do some research to find local agents with a solid sales history and a proven track record with successful auctions in the area. Scope out previous campaigns to find an agent with an approach that will suit your home and budget, and appeal to the right audience. You’ll also need to find a suitable auctioneer that you can trust to get your the best possible result come auction day. By selecting an auctioneer that is professional and can demonstrate a proven record of successful auctions with comparable properties you’ll be giving your house a better chance at reaching your goal price once the gavel comes down. The right auctioneer will be able to generate interest and excitement amongst bidders on auction day, engaging the crowd and encouraging bidding. You might like to attend a few auctions first, to check out the talent. Generating interest in your home, attracting potential buyers to your open house viewings and getting serious bidders to your auction does not happen on its own – you’ll need to spend money on advertising in order to do this. Before you get started you should determine a budget, an agreed amount that will cover all the advertising costs and any agent and auctioneer fees. Discuss the advertising with your agent. Try to determine what kind of publications and media you’ll be using to reach an audience, what you’d like to portray and highlight during the campaign, and what audience you’ll be targeting. Once you’ve got your budget sorted, make sure you stick to it, you don’t want to get carried away with promoting your property to the point it is no longer cost effective. Open house viewings are vital to the success of your auction and the attraction of potential bidders. It’s important to present your house in the best possible light, highlighting all its best features and downplaying any drawbacks. You agent will be able to help you with this. Schedule viewings at times that will maximise the accessibility and exposure of your house, and make sure there’s ample advertising beforehand. Keep the home clutter free, well lit, neutral smelling and try to use neutral colours and decor so that buyers can easily imagine the house with their own furniture or style incorporated. Try checking out a few display homes for inspiration on how to create an appealing aesthetic for house hunters. Before auction day, agree on a reserve price that you can be happy with, and be realistic. 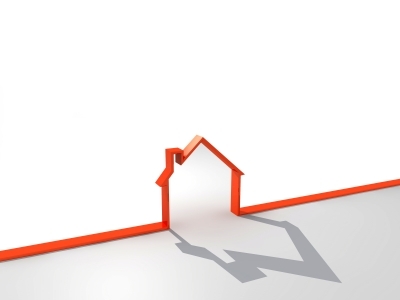 Base your decision on auction outcomes on similar properties in the area, as well as your own financial requirements. With these simple steps you can work toward a successful auction and a calm lead-up to the day your home goes under the hammer. With the right preparation you’ll be able to generate plenty of interest and snap up a great price on auction day.